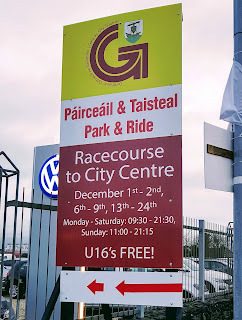 The central city drop-off and pick-up point is the Galway Coach Station (point "S" on the regional bus stops map). There is no specific arrangement for cars to be left at Ballybrit overnight: any cars which are left there are at the owner's risk. On 24 Dec, Christmas Eve, the last bus will leave the city-centre in the early evening - the exact time is to be advised, last year it was 5:30pm. Thursday 13 December every day until Monday 24 December. 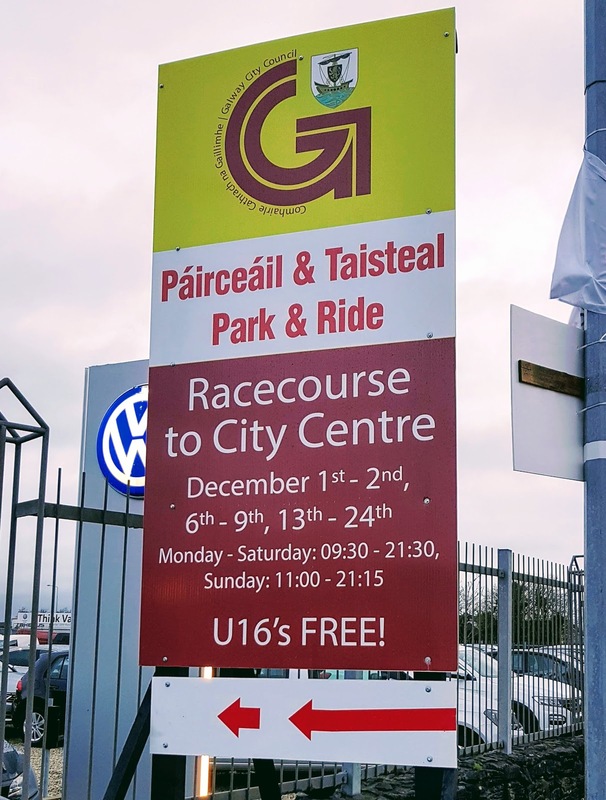 The fare is €1 each way per adult, This includes all-day parking and children under age 16 travel for free. 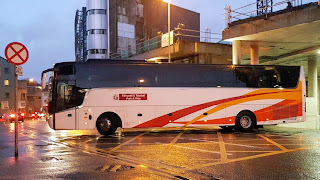 Free-travel pass and Galway City daily, weekly and monthly tickets are not accepted. The service is non-stop, with no pick-ups or drop-offs along the way. Buses use the most appropriate route between the race-course and the city centre - typically this makes use of bus lanes. See Galway Christmas 2018 holiday bus services (coming soon) for information about regular city bus services during this period.